Teamable attaches the resume whenever it has been added directly on the candidate card. To find any prospective candidate's resume, once it's been added, simply click on the card and then click on the green resume icon in the links section to open the resume. 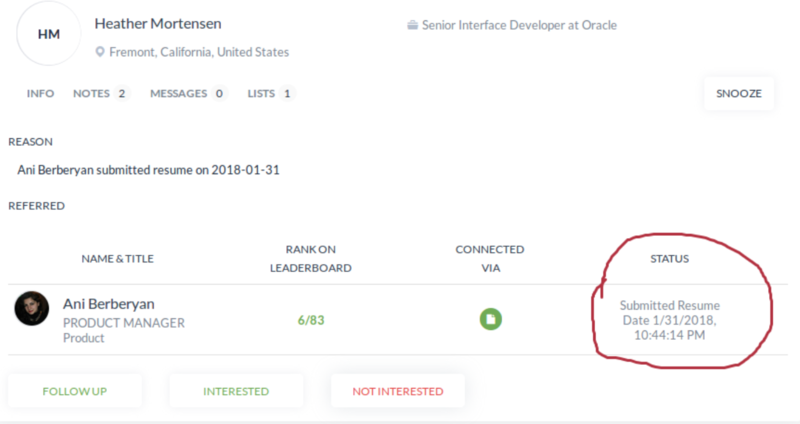 Teamable will also show in the notes, the teammate who uploaded the resume and when. Figure One: Example candidate card where a resume was submitted. 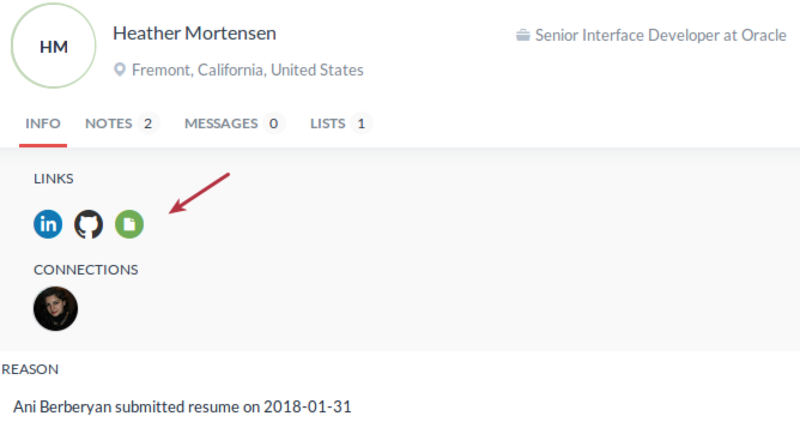 Figure Two: Example of Status Update for a candidate with a resume.